While Idrija is not one of the most well-known places to visit in Slovenia, this small town in the western part of the country has a long and interesting mercury mining history whose heritage still clearly stands out, thus making for a great place to visit for those interested in culture and industrial tourism. 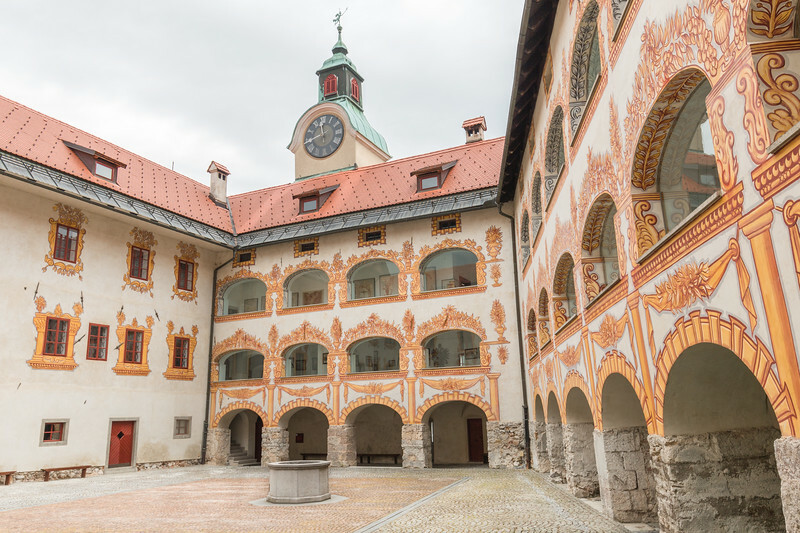 Located in a valley surrounded by a beautiful green landscape, Idrija’s mercury mining history started in 1490 and lasted for 500 years until the late 20th century. Idrija was home to the world’s second largest mine. Mercury became a very important source of income and contributed towards new technological developments, but after steep price drops and increasing awareness about how harmful and poisonous it was, the mines closed down. Life post-mining brought change to Idrija. It was time to secure the mine and transform this rich mining heritage into something that others could visit and learn from. A few years later, together with Almadén in Spain, the town was recognized as a UNESCO World Heritage Site. 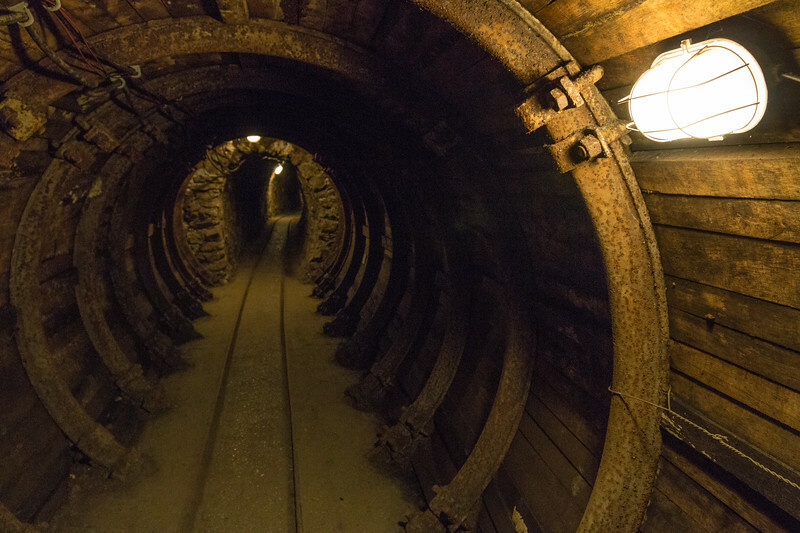 Nowadays, you can visit some of the old mining buildings and facilities, including going underground to see first-hand how working in a mine was like. 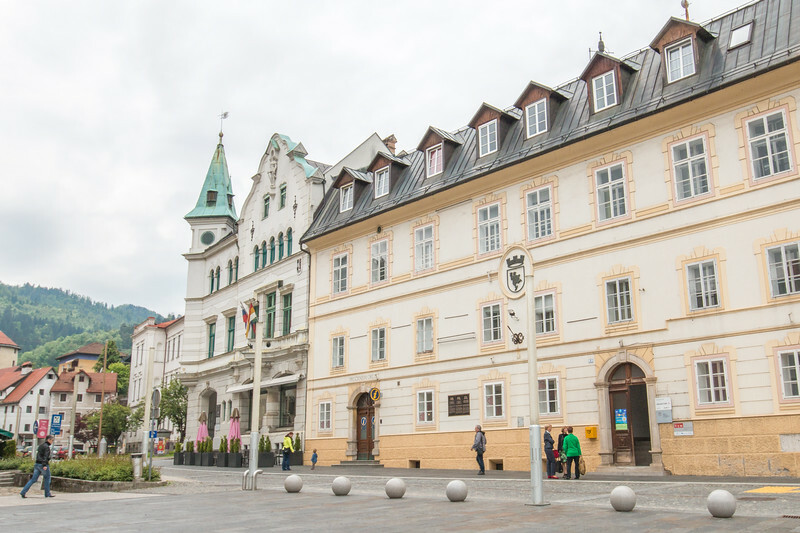 We stopped at Idrija to see some of the highlights, namely Anthony’s shaft, the Municipal Museum and Kamšt, but just walking around town, you stumble upon many historical buildings related to the mining heritage of the town. 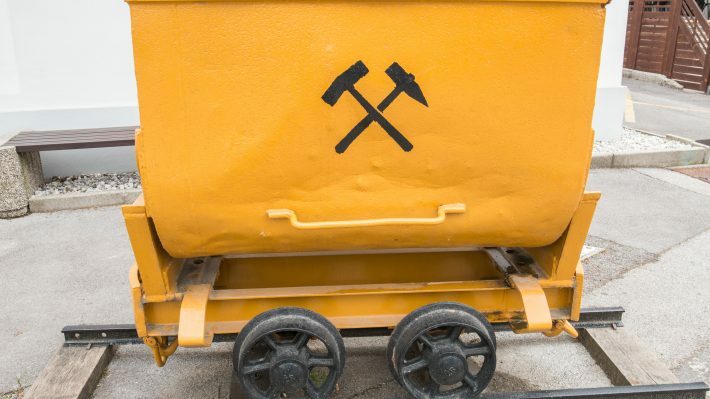 The history behind old mining towns is something that interests us because of its cultural value and we’ve visited a few other locations that share a mining history. If you’re into this as well, we recommend reading about Bodie and Røros. Anthony’s Shaft, or Antonijev Rov in Slovenian, is the most famous mine shaft in Idrija. 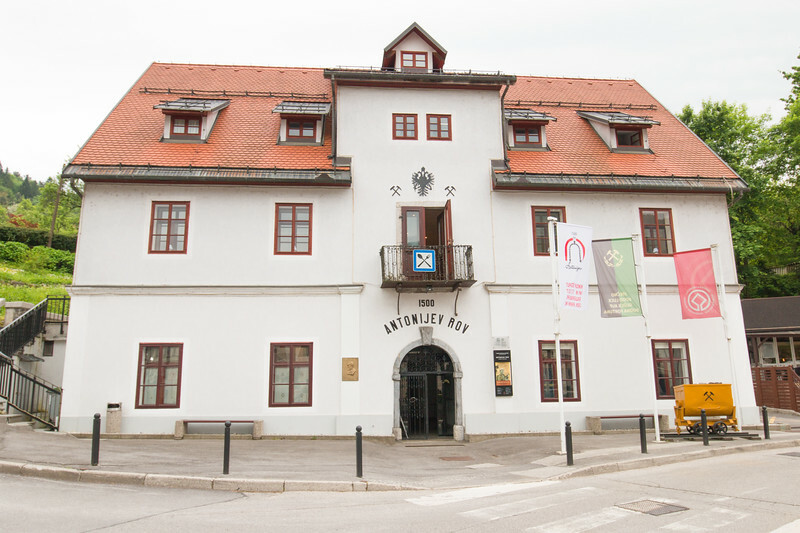 The entrance is at Šelštev House, the old register office, where you can book a very interesting and unique hour and a half tour that goes underground inside a part of the mine purposely preserved for tourism. Most of the mine has been backfilled to prevent the town from sinking (which it was!) but even this short tour goes almost 100 m deep accompanied by a guide who provides valuable information about mercury and how mining worked since the early ages up until recently. Undoubtedly a very difficult job with barely any working conditions and limited safety. To give you a bit of perspective, the mine extends up to 400 meters below the surface, with many levels and kilometers of tunnels. Truly an impressive heritage that Idrija received from this mine. There are samples of the tools and techniques used in the mine and you can even dress up as a miner! The tour also passes by the small Holy Trinity Chapel, where the miners would stop before their shift. 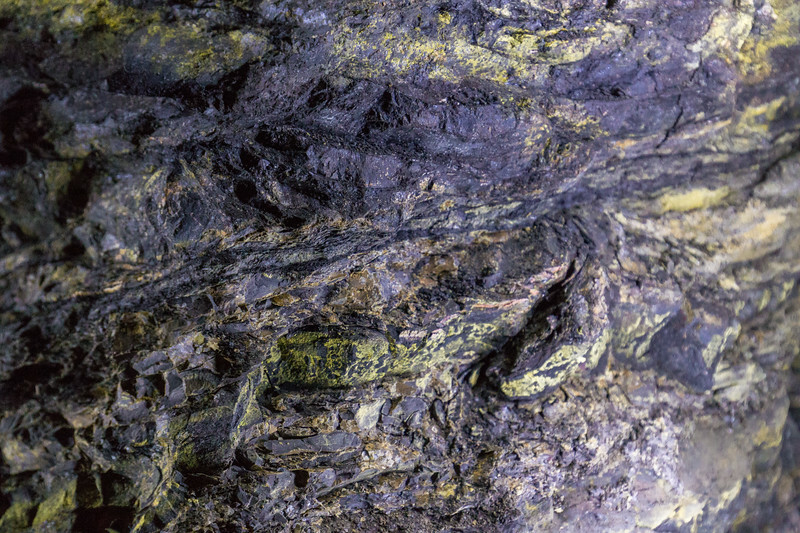 If there’s one must-do thing in Idrija, a mine tour of Anthony’s Shaft is definitely it! 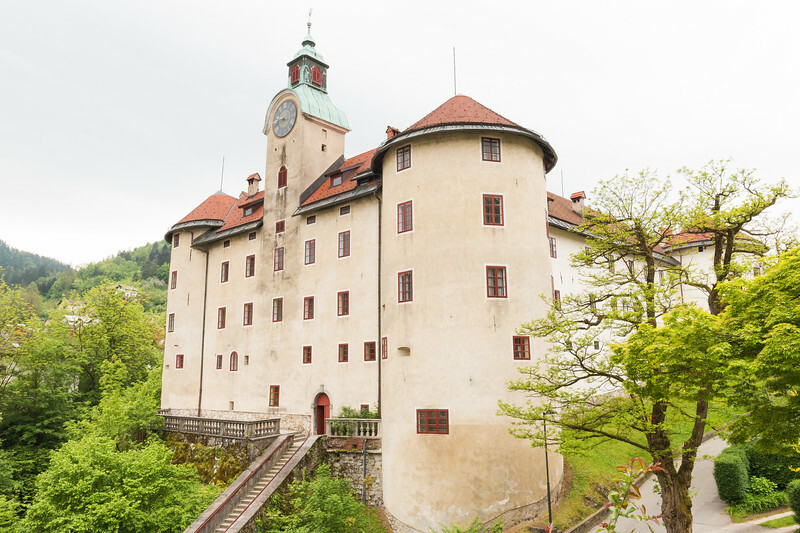 The imposing 16th-century Gewerkenegg Castle can easily be seen from the town center and houses the Idrija Municipal Museum. The building itself is very beautiful with many rich details, namely the courtyard wall paintings which are definitely a highlight. 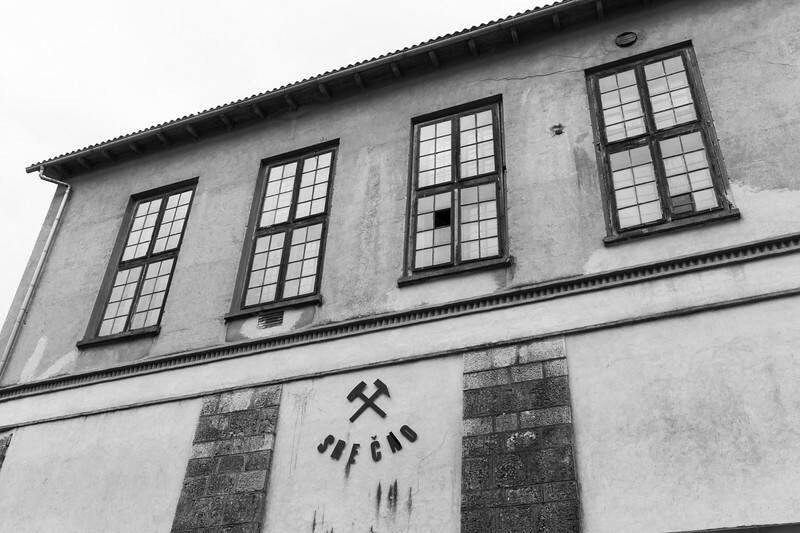 The museum has a permanent exhibition about the 500 years of mercury mining in Idrija, where you can see and learn more about the history of mining and the connection with the town. Lots of information about everything mining. Another important section is dedicated to the hand-made Idrija Lace, a very popular craftwork that became a symbol of the town and has even its own school. It’s here at the museum that you can book a guide to visit other mining heritage sites in Idrija that are otherwise closed. 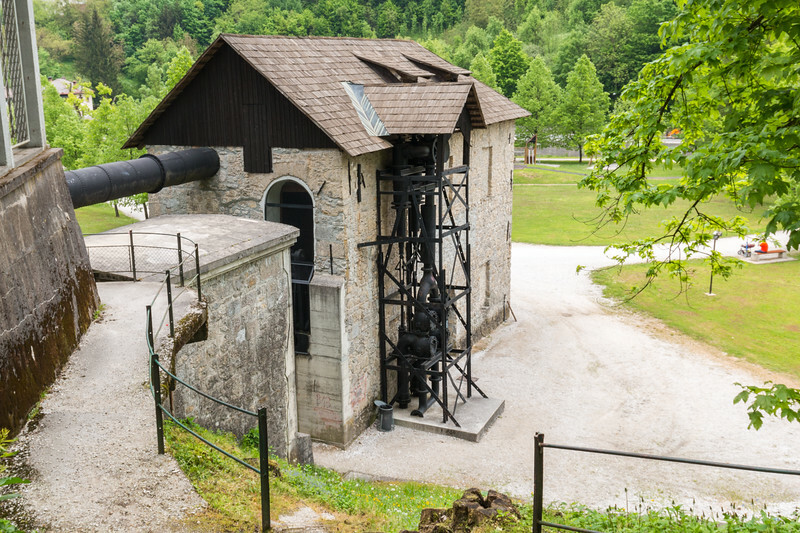 Kamšt is a water pump with a wooden wheel with 13 m of diameter and probably one of Idrija’s most famous mining heritage sites. When operating, Kamšt was capable of pumping water out of the mine pit at a rate of 300 L per minute. The water used to power the pump was provided by a long water channel called Rake. Today, you can visit Kamšt which still stands inside its original stone building, but only with a guide from the Municipal Museum. It’s easy enough to arrange! Just above Kamšt are another mine entrance, Joseph’s Shaft, and some locomotives and carts used in the mining operations. Perched atop of a hill just off the town center, Saint Anthony’s Church and Calvary offer the best views of Idrija and surroundings. The Church is dedicated to Saint Anthony, considered to be the protector of the miners. Idrija is not a very big town and you can see the highlights in half a day or so, maybe a full day if you opt for a more thorough visit. Plus, it’s quite easy to reach by car, only 1 hour away from Ljubljana or the famous caves at Postojna. 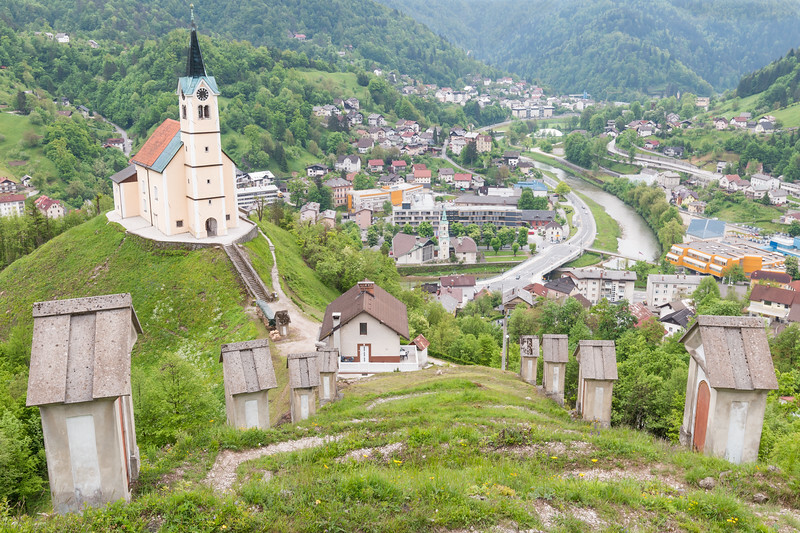 We suggest stopping at Idrija to break your journey on the way north to Triglav National Park, another beautiful part of Slovenia. 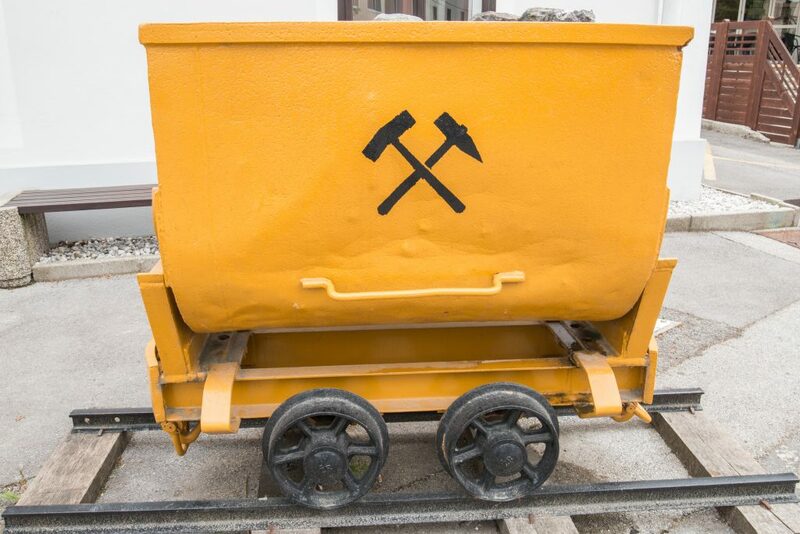 Don’t forget that to visit many of the old mining heritage sites you need to get a guide at the Municipal Museum. You’re also likely to give a ride to the guide to the location, which is what we did when we visited Kamšt. Are you planning a trip to Slovenia? Would you like to visit Idrija? You should definitely visit Slovenia. It looks so beautiful! Slovenia is near the top of my list of European countries that I would like to visit. Is there much of a language barrier when travelling there? In touristy areas it’s fine but when you go a bit off the beaten path it gets a bit more difficult. Nothing major though. Such a pretty winding town! Thank you for sharing! Slovenia’s little town that I never heard about. Would definitely go here for the gems that are waiting to be discovered. Those painted buildings remind me of German villages. Goodness, that sounds fascinating. I love the look of the castle, but I’m amazed by the mine. Did the miners have to wear anything in particular? I know Mercury is quite poisonous..
Well, they didn’t up until the last few years of operation. That’s why life expectancy wasn’t great back then. Smelting was a lot more dangerous though. Idrija sounds like an interesting place to spend a day or two! I’ve never been to a mine, and this sounds like a great place to learn about the industry and how it shaped the town and culture there. Thanks for sharing! Indeed! Perfect place to learn more about mining. This is such an awesome place! We visited a mining town once when we were in Austria, and it was so interesting. Will add this to our travel list. Thank you for sharing! These old mining towns usually have some really interesting bits to explore! Never been in a mine. Looks pretty cool and different. The Church of Saint Anthony is gorgeous especially with that view. It’s an interesting experience to see a mine from a tourist point of view. Yes, those views are gorgeous! Perfect timing on this- I’m thinking to go to Slovenia soon. I’ll check this town out while I’m there. Thanks! Idrija doesn’t show up much on the top places to visit in Slovenia but is definitely worth a stop. Slovenia is a beautiful country to visit! I can see why it is a UNESCO site guys. Fascinating. I am intrigued by mines. Ever since I obsessed over Lord of the Rings and its greedy dwarves LOL.